The information presented on this page was originally released on November 24, 2015. It may not be outdated, but please search our site for more current information. If you plan to quote or reference this information in a publication, please check with the Extension specialist or author before proceeding. STARKVILLE, Miss. -- A health specialist with the Mississippi State University Extension Service has been certified in public health by the National Board of Public Health Examiners. David Buys earned this certification after demonstrating mastery in several key components of public health, including biostatistics, health policy and management, and environmental health sciences through coursework completed during his public health training and by completing the Certified in Public Health examination. Buys, who also conducts research with the Mississippi Agricultural and Forestry Experiment Station, said this credential is the only one of its kind for public health. Paula Threadgill, Extension associate director, said Buys’ professionalism is part of a larger plan to focus on health-related outreach. Buys is the chair of the chronic disease prevention and management action team for a larger, nationwide effort by the Extension Service. 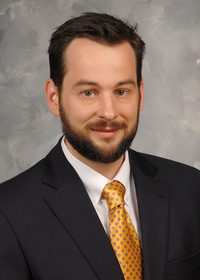 Before coming to MSU, he was on the faculty of the University of Alabama at Birmingham School of Medicine and a postdoctoral fellow at the UAB School of Public Health. He has a background in medical sociology and epidemiology, or the study of patterns, causes and effects of diseases in specific populations.